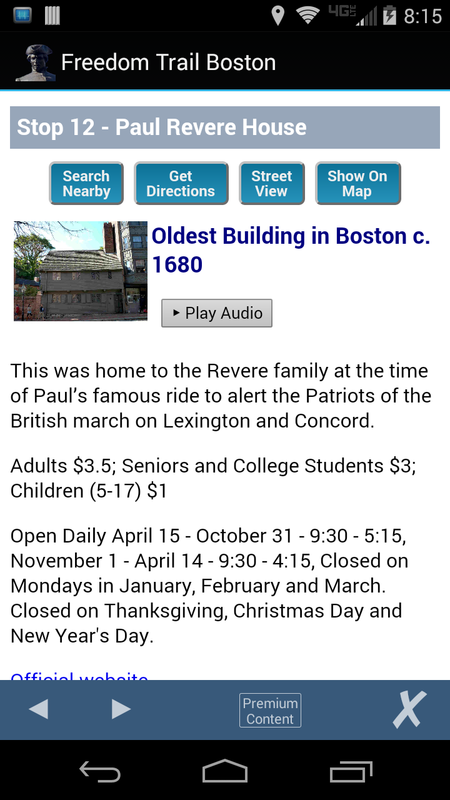 Freedom Trail Boston is a mobile app for touring Boston's historic Freedom Trail, first published in July 2012. 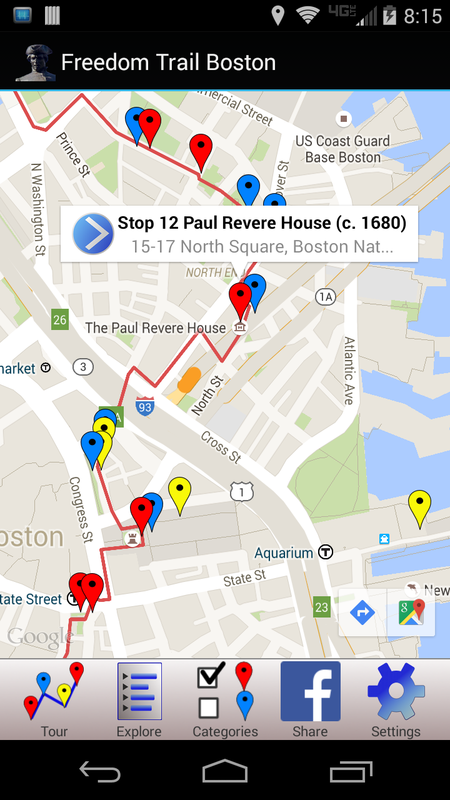 The content was created by Steve Gladstone based on his book Freedom Trail Boston - Ultimate Tour & History Guide. The app is published under the name Mapocosm and is available for Android on Google Play and for iPhone and iPad on the iTunes App Store. The app centers on a map of the Boston area showing the actual walking trail. All official Freedom Trail stops are located on the map as well as many other interesting sites along the trail, plus side trips out to Quincy, Cambridge, Lexington and Concord. All stops have essential touring information such as hours of operation and a photo, but also handy links to see the site in Street View, get directions, listen to an audio tour, and dig further into detailed history. A user can post their experiences along the trail to their Facebook page, and get budget tips or find interesting restaurants along the way. 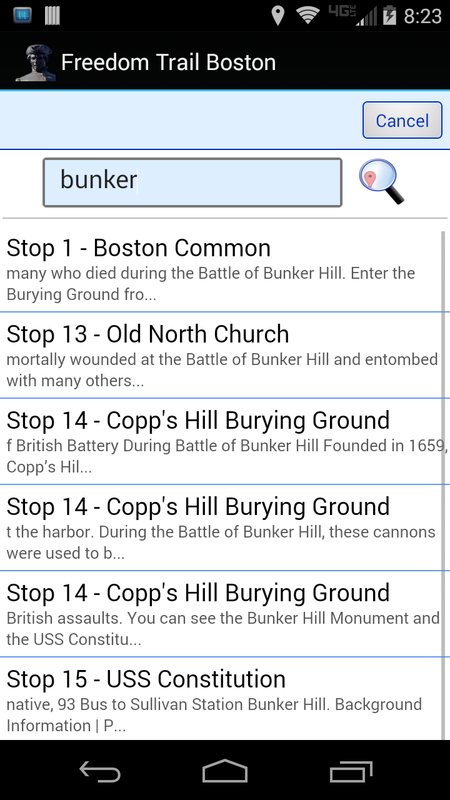 The complete book of Freedom Trail Boston is available within the mobile app, and is full-text searchable. Much of the content is free, but the streaming audio, extended tours, and full history are premium content available through in-app payment.